TransGaming announced Monday the release of Command & Conquer: Red Alert 3. The game costs $40 and is available for online purchase and download from GameTree Online, TransGaming's e-commerce site. Command & Conquer: Red Alert 3 pits the Allies, led by the U.S., against the Soviet Union and the Empire of the Rising Sun. 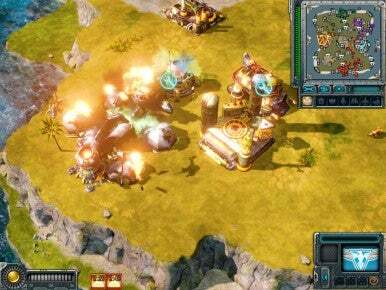 Command & Conquer: Red Alert 3 is the most recent installment of Electronic Arts' (EA's) long-running real-time strategy game franchise, a takeoff on the "original" Command & Conquer series. The PC game, upon which the Mac version is based, came out last fall; the Mac release has been timed to coincide with Command & Conquer: Red Alert 3 Ultimate Edition, which just began shipping today for the Sony PlayStation 3. This is the first installment of the Red Alert series to make it to the Mac. In the Red Alert series, players find themselves on an alternate Earth where the Cold War heated up: the United States and the Soviet Union wage epic war against each other using combined air, land and sea forces. This game introduces a new foe: The xenophobic Empire of the Rising Sun. What makes the Red Alert series different from Command & Conquer is a sense of humor. The game also features a cinematic story line -- the longest in the franchise's existence, with a full hour of cinematic cut-scenes -- including some over-the-top action and hammy acting from big-name Hollywood talent, such as Tim Curry, Jonathan Price, Peter Stormare and George Takei. In this installment, the Soviets, desperate to find a way to beat back the Allies, invent a time machine to eliminate Albert Einstein before the creation of technologies which will lead the Allies to victory. Indeed their efforts yield fruit—the Allies are on the ropes, but a new superpower—the Empire of the Rising Sun—has appeared. The game features cooperative multiplayer support, either online with other players (Mac or PC) or with computer-controlled players, along with an increased emphasis on naval warfare. Command & Conquer: Red Alert 3 is rated T for Teen by the ESRB. 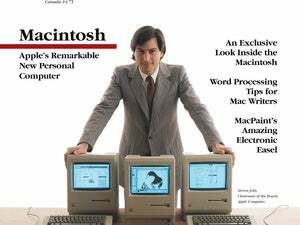 System requirements call for Mac OS X 10.5.6 or later, Intel Core Duo processor, 1024MB RAM, ATI X1600 or Nvidia 7300GT or better 3D graphics (Intel GMA graphics on older MacBooks, Mac mini and some iMacs not supported), 10GB hard disk space, and keyboard and mouse.